Apparently, in the light of Cardinal Nichols recent email members of the Brigade of George for Defence Against Liturgical Abuse (and Preferences) are being sent into his diocese to make sure there is absolutely no 'personal preference' used in celebrations of the Sacred Liturgy. Each of these 'surveyors' has been highly trained and will answer a detailed questionnaire regarding the rubrics of the Mass. Of the over 1000 questions some of these might well be on the list. Did the priest wear the correct vestments? Was the stole worn under or over the chasuble? Was his neck-wear completely conceal by an amice or the alb, especially in the case of religious with hoods? If he were a bishop was his pectoral Cross worn correctly? Was it suspended on a cord or chain? Did he wear the correct cassock? Where was the Blessed Sacrament reserved. Were the correct chants sung? If hymns were used did these correspond to the text of the Missal. Where hymns from a list approved by the Bishop's Conference? Was anything placed before the altar, chairs, flowers to obscure its significance? 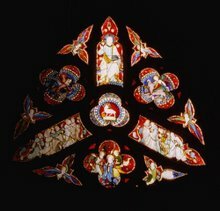 Did the priest extend his hands when performing the functions of a deacon eg at the Gospel? Were the correct Offertory prayers used? Were auxiliary bishops prayed for in the Eucharistic Prayer? Was EPII used on a Sunday? Was the correct voice used for various prayers? Were additional devotions inserted into Mass? Was the liturgy interrupted by any unauthorised rite, such as praise of small children bringing pictures into church? Were the correct translations of the Mass used? Did the blessing of 'communicants' take place during the distribution of Holy Communion? Was there any dancing before, during or immediately after Mass? Were there puppets? It is expected that once the questionnaires have been answered it will take His Eminence several months to deal with each 'personal preference'. Some of course are personal preferences, some are congregational preferences and some the people in the choir gallery's preference, but some of course are downright abuses, were these take place, and are ongoing, they will be reported to the Cardinal Prefect of the CDW. Were acceptably bad hymns sung? Were servers sufficiently and representatively mixed in gender? Did the celebrant or deacon make a bad joke at least twice? Did the sermon positively exclude any definite Catholic doctrine and avoid any hint of judgementalism? Was the carbon footprint or the environment mentioned in the bidding prayers? Were there enough unnecessary extraordinary Ministers? Were the 'ministers of welcome' suitably officious? Did anyone kneel for Communion? Did anyone escape the kiss of peace handshake or fail to disturb non-participants? Did anyone fail to chat loudly before, after or during Mass? I'm sure others can amplify and improve on these. Typos (!) notwithstanding, well said! If tomorrow I attended a mass ad orientem, would it change my participation in the mystery of the Body of Christ in the Eucharist??....No. Not really. 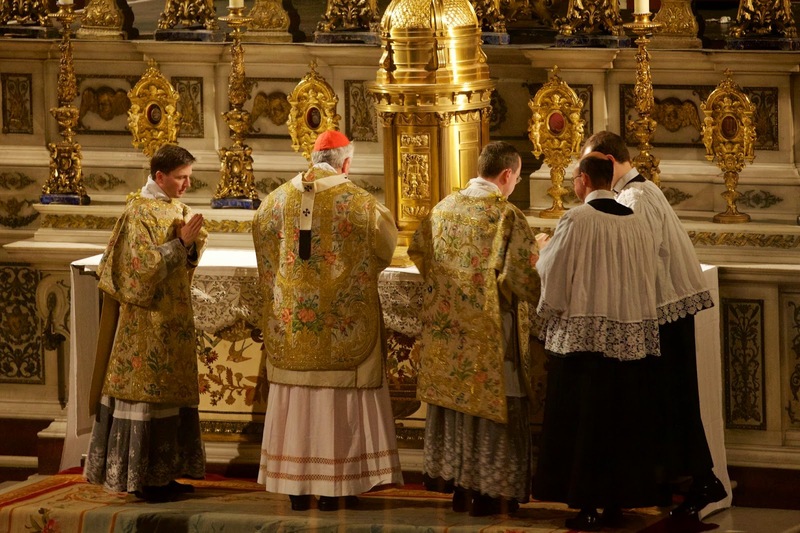 Would most folks mind if their priest did the occasional or every mass ad orientem?? Probably not at all. Most people just want to come to mass. Last time everything changed noone really said anything did they?? The meeting place between Christ and my soul happens in a place noone can see...beyond the veil...in my heart. The direction the priest is facing has no bearing on this. Sorry. Ad orientem affects the celebrant more than it affects the congregation. From the latter's point of view, versus populum leads to the misunderstanding that the Mass is a re-enactment of the Last Supper - a Protestant interpretation. posts. I do not know if it is still in print but there will be copies available somewhere. Volumes 1 and 11 are also worth reading. Cardinal Nichols should take his own advice and not exercise personal preference, which he does in overruling in the New Mass, in his particular patch, some 15 centuries of established, and indeed mandatory universal Catholic practise, as from the sixteenth century. Which raises one other matter. The quality of the various translations floating around is bad, including the one Cardinal Nichols, it is alleged, apparently bases his view on. Something has to be done about this. If any of these Surveyors appear in this diocese, ( which of course they won't ) he is likely to get a boot where, as the Holy Father would put it, the sun never shines! Nice pic of ++Vin celebrating ad apsidem and in Latin in his diocese. He was outdone this year by Archbishop Longley who celebrated Pontifical High Mass at the Throne (EF) as part of his visitation of a church in his diocese. And he did process in wearing the cappa magna. Come on, your Eminence! Are you going to let Brum steal a march on London? A very pertinent point Father. You can add: was the Lamb of God recited/sung according to the text in the missal or were extraneous intercessions added? Did the people receive holy communion kneeling, which is the recommended sign of adoration, and if not did they make another sign of reverence such as genuflection or profound bow? 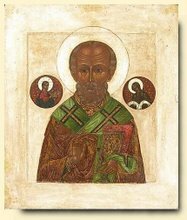 Did everyone bow at the mention of the Incarnation when reciting the creed? As to the priest facing ad orientem, it makes perfect sense to me that the Eucharistic Prayer should be offered that way. It would make a truly visibly dramatic and significant gesture for the priest to command the people to "lift up your hearts" then turn to the Lord and offer The Great Sacrifice at the altar. And I have always understood that the Novus Ordo does not mandate the direction of the celebration. It certainly wasn't something found in "Vatican II". Better minds than me have commented on the translation of the relevant passage from the General Instruction on the Roman Missal, but my take on how it would be accurately rendered in clear English is: "The main altar should be built separated from the wall, which is desirable wherever possible so that it is easy to walk round it and celebration can take place at it facing the people." whiteowl whiteowl: "Last time everything changed no one really said anything did they?" If it was a Sunday Mass in the season of Easter, was the Gloria said? Or was it yet again omitted because the priest 'just forgot'. So many sad but true questions to be addressed - Jeremy added the very ones I immediately thought of. How about so many pews being emptied immediately after receiving our Lord as people exit quickly out the doors - not even returning to their seats afterward? Or protestant songs being sung (and badly)- especially during Holy Communion - no moments of silence then either! And certainly no time for quiet prayer and preparation before Mass begins, even though one shows up 45 min to an hour early, instead have to listen to the choir and band instruments practice - loudly, as well as the others in pews who come early for their social hour and catching up on their activities since the last Mass gathering, and who had what operation, the sports, the upcoming events in their lives, raucous laughter, and other assault on one's ears in God's house!!! Or not only a flock of "Extra" Extraordinary ministers (from at least 10 to as many as 14-15), but they line up BEHIND the priest on the altar, also facing the congregation? And some of them dressed - well, I will only say some immodestly, casually, and against the instructions clearly given in practicum training. Was clapping afterward mentioned as the choir finishes their masterpieces? And of course the babble of voices and laughter as the people process out immediately after Mass has ended (that is the ones remaining in pews who did not already exit immediately after receiving the Host! ).